Renewal by Andersen los expertos en ventanas tenemos muchos empleos disponibles. Ocupamos, Deignador de Citas, Respresentantes de Eventos Minoristas, Tecnicos de Medicion, Tecnicos de Servicio. Nuestras ventanas son unicas…y nuestro equipo es un ambiente muy magnifico! Para Mas Informacion llame al (847) 486-4015 en Espanol y en Ingles (847) 486-4018. Gracias esperamos que sea parte de nuestro equipo, llamenos ahora!!! If talking with people energizes you, apply for an event marketing position. In this role, you will be that friendly face in the Renewal by Andersen booth at local fairs and community events. People will enjoy learning about Renewal by Andersen from you, and you’ll enjoy having access to all the interesting activities happening in your town. Or consider a showroom representative position—the first person customers see when they come into the showroom. Some people use these jobs to pay for special times in their lives—such as weddings, school or home improvement projects. Others make it a second career. All love the extra income they get simply by using their dynamic personalities to drive conversations. We make sure you get all the training and gear to make each conversation a success. Learn more about these fun, independent roles now. 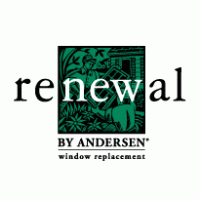 Renewal by Andersen, the high growth replacement window subsidiary of Andersen Windows is currently seeking canvassing representatives.